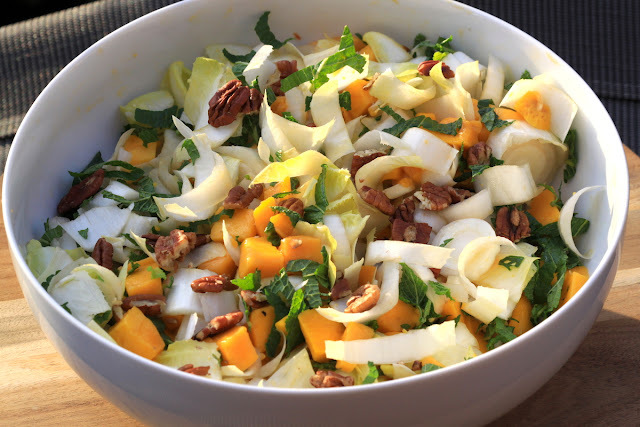 Endives are one of the easiest salad ingredients to use in recipes. Their bitter taste is perfectly balanced by the sweetness of a ripe mango in this salad. Add all the ingredients to a salad bowl. Stir it all gently. Add the salt immediately before serving it, to avoid water formation.